Begin with the dal. Melt, swirl and sizzle the butter in a small pot over medium-high heat until it foams and lightly browns. Toss in the whole spices and stir briefly as they sizzle and brighten. Add the curry powder and stir a moment longer before adding the onions and garlic. Cook, stirring constantly as the textures soften and flavours brighten, 2 or 3 minutes. Add the lentils, water and salt. Briefly bring the works to a full furious boil than lower to the slowest steadiest simmer possible and continue cooking until the lentils are tender and delicious, 20 minutes or so. Meanwhile make the rice. Measure the grains into a second small pot. Pour in the water and sprinkle in the salt. Briefly bring the works to a full furious boil than lower to the slowest steadiest simmer possible and cover. Continue cooking until the rice is tender and delicious, 15 minutes or so. Rest without uncovering for 5 minutes or so as the grains finish absorbing moisture. When the dal is done carefully stir the spinach into the works until the bright green leaves fully wilt. 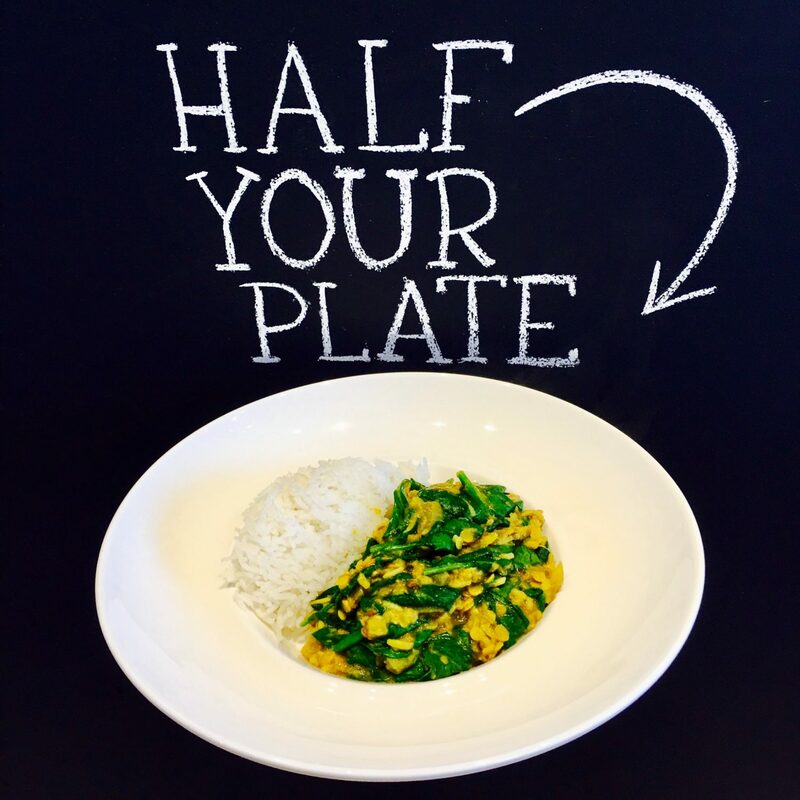 Serve and share the spinach dal over the rice. Adding baby spinach to pastas, soups and stews just before serving is one of my favourite kitchen tricks. When you stir the tender leaves in last the dishes residual heat wilts them and preserves the spinach’s intense bright green nutrition and flavour. Rice is a grain, lentils a legume. 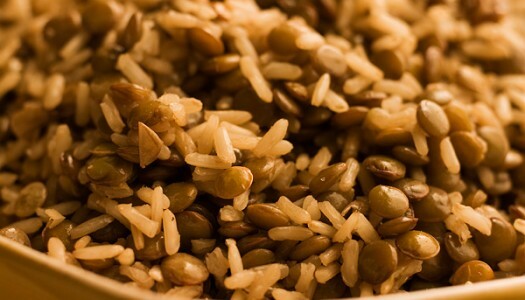 Combine the two and you have a perfect source of vegetarian protein. 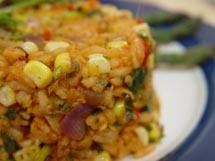 Of course, you don’t have to be a vegetarian to enjoy the wholesome, tasty richness of this healthy duo.